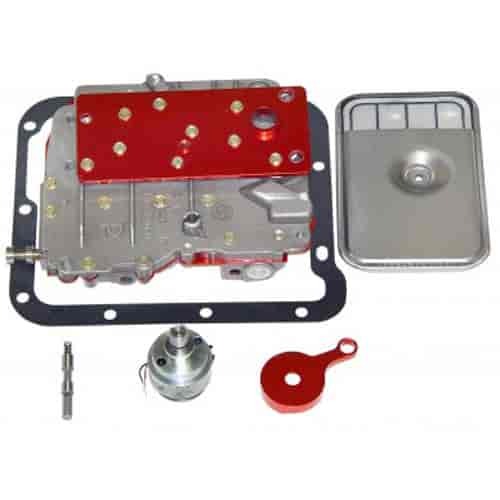 TCI Transbrake Valve Bodies produce maximum torque converter stall that results in quicker, more consistent reaction and 60-foot times. The transbrake valve body acts similar to a manual clutch, preventing engine torque load transmission through the drivetrain before launch. Once released, the transbrake valve body immediately transmits power to the rear tires. When engaged, the transbrake prevents forward or backward roll while pressing on the accelerator, allowing the engine to turn rpm as high as the torque converter stall. I need that filter that is in this kit but searching for the given part number 890-FLT26422G, comes up with nothing.